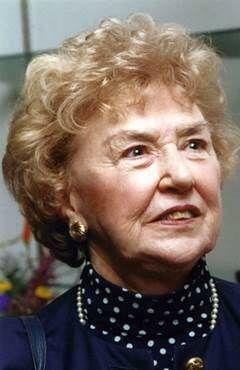 A woman who is known for her philanthropic activities in the Rochester area as well as her connection to the founder of Xerox has died. Catherine Breslin Carlson was 91. Her friends say she died peacefully on Thursday morning. Catherine Carlson was originally from Milton, Massachusetts, and moved to Rochester in 1969. She graduated from Boston University with a degree in philosophy, and after graduation embarked on a business career, including assisting the head of Leahy Clinic, working on staff with boat builder George O'Day, traveling for Connecticut General Insurance Company, and serving as registrar and development officer at Tufts University School of Dental Medicine. While in Boston, Catherine met Rochester inventor Chester Carlson and his wife Dorris, and when traveling to Rochester on business, she often stayed at the Carlson home. Chester Carlson developed the Xerographic process, which eventually led to the founding of the Xerox Corporation. After Chester Carlson died in 1968, Dorris invited Catherine to assist her and continue Dorris and Chester's philanthropic work and support of spiritual interests. When Dorris died in 1998, Catherine became Chair of the Chester and Dorris Carlson Charitable Trust. That trust was administered through the Rochester Community Foundation. Its President and CEO, Jennifer Leonard says Catherine Carlson had a strong need to help people throughout the city. “Going out beyond the club life, let’s say, of a lot of other people from her social strata and recognizing the needs of the poor and the hungry and of struggling women and families." Catherine Carlson also has given many talks at scientific conferences about Chester Carlson and his achievements. She served the community in a variety of ways, including founding the first lay Board plotting the future of the merged Nazareth Schools, Nazareth Academy and Nazareth Hall. Catherine Carlson served on a number of boards, including the Rochester Area Community Foundation, the Rochester Philharmonic Orchestra, Greater Rochester Women’s Fund and the Reynolds Library benefiting the Rochester Public Library. Libraries were a particular focus of her philanthropic activities. The University of Rochester campus is home to the Carlson Library, which houses most of the university’s scientific collections. Catherine Carlson also funded the Patent and Trademark Resource Center to assist inventors in patent procedure based on Chester's early experiences as a patent attorney and provided scholarships to RIT's Carlson Imaging Center, Nazareth Academy, and Nazareth Elementary School. Mary Ann Mavrinac is the Dean of the University of Rochester Libraries, which includes the Carlson Science and Engineering Library. A number of archival materials from Chester Carlson are housed there, but Mavrinac says Catherine Carlson didn’t just reminisce about past accomplishments. "She was always thinking about the world in which we live. She had a great concern about the community and poverty and poverty in certain segments of the community," Mavrinac said. Sister Beth LeValley of the Sisters of St. Joseph in Rochester was a close friend of Catherine Carlson for a number of years. She remembers Carlson's interest in education and reading. "She would go and read to the students and all that, and then the migrants, I still remember going out to the Brockport migrant school which was at the former Nativity School, and, oh my gosh, reading to the kids and the kids had their shields, and she was very good with children like that," Sister LeValley told WXXI News. "I am deeply saddened to hear of the passing of Catherine Breslin Carlson. As Chair of the Chester and Dorris Carlson Charitable Trust, Catherine worked tirelessly to continue the Carlson family legacy and their numerous philanthropic endeavors that benefited so many people in the Rochester community. Her commitment to furthering education throughout the years by providing funding for libraries, countless scholarships for students throughout the area and books for children in our city schools has deep meaning for me, as we both shared a strong belief in the importance of learning. Our city and our region have lost a truly special friend, caring neighbor, and a devoted philanthropist." Catherine Carlson was a longtime supporter of WXXI, and was the Honorary Chair of the 21/21 Vision Campaign for the future of WXXI. In recognition of her family’s generosity to WXXI, the television studio which has been home to Homework Hotline, Assignment: the World, and Need to Know was renamed The Carlson Family Studio in 2005. “With the passing of Catherine Carlson, a bright light is extinguished over the sky of Rochester. After George Eastman and before Tom Golisano, the Carlson family, and especially Catherine Carlson, helped define philanthropy in our community. Catherine was a donor, an advisor, an Honorary Board member, and most of all, a good friend. She especially loved the county library, WXXI and the Little Theatre, and local colleges and universities, and she helped all of them to thrive. Funeral arrangements are pending. In lieu of flowers, contributions may be made to a charity of your choice, or to the Sisters of Saint Joseph of Rochester, 150 French Road, Rochester, New York 14618.